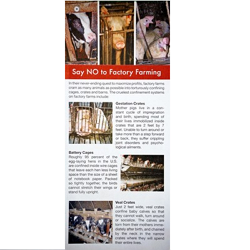 This one page Leaflet details the three main confinement systems for farm animals. 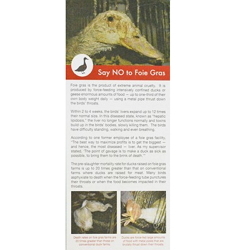 It is ideal for general outreach. A must-have for the farm animal advocate. 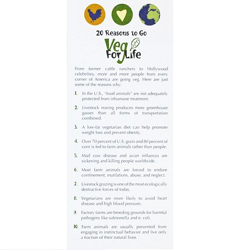 Perfect for leafleting, tabling or any other outreach activity, our new "20 Reasons to Go Veg" leaflet is chockfull of some of the most convincing facts about why vegetarianism is better for animals, humans and the environment.